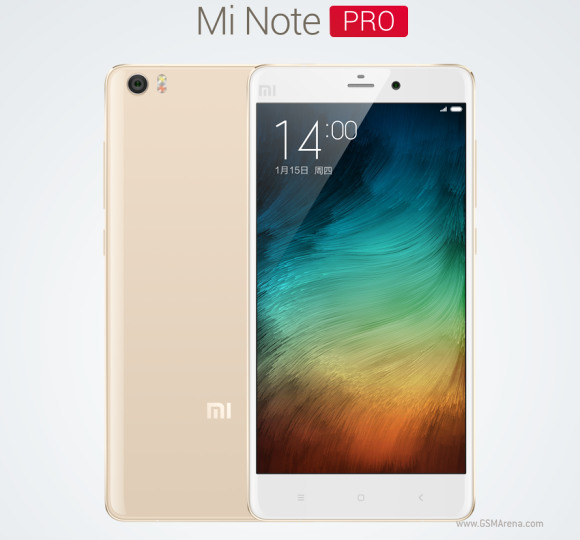 Xiaomi Mi Note Pro looks just like the newly announced Mi Note - it uses a dual-glass design with a 2.5D front and 3D rear glass. The footprint remains the same as the standard Mi Note, but the Pro version brings a better 5.7" display and more powerful innards. 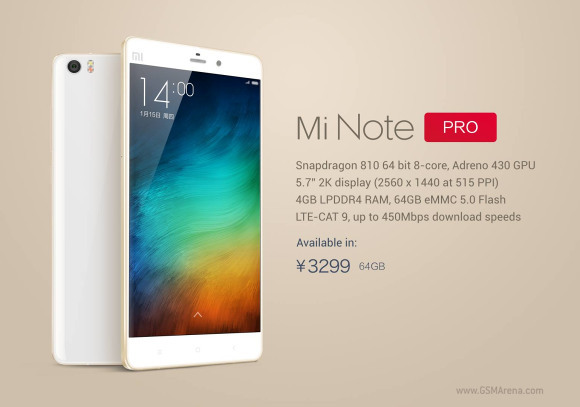 Xiaomi Ni Note Pro utilizes a (Sharp/JDI) 5.7" IPS display of QHD resolution (that's 515ppi) and runs on the best Qualcomm chipset there is to date - the Snapdragon 810. It offers an octa-core processor with 4x Cortex-A57 @ 2.0GHz and 4x Cortex-A53 @1.5GHz, Adreno 430 graphics accelerator and the whooping 4GB LPDDR4 RAM. The rest if the notable specs include LTE Cat.9 connectivity for up to 450Mbps downlink speeds and 64GB internal storage. The 13MP rear camera features a Sony IMX214 sensor, optical image stabilization and dual-tone flash, while the battery inside is a 3,000 mAh unit. There is also a front 4MP 1/3" sensor camera for great selfies. The standalone sound processor ESS ES9018K2M mobile Hi-Fi Edition should improve the audio quality further with high fidelity and rich detail, while it will also provide native support for various formats such as APE, WAV, FLAC and DSD. 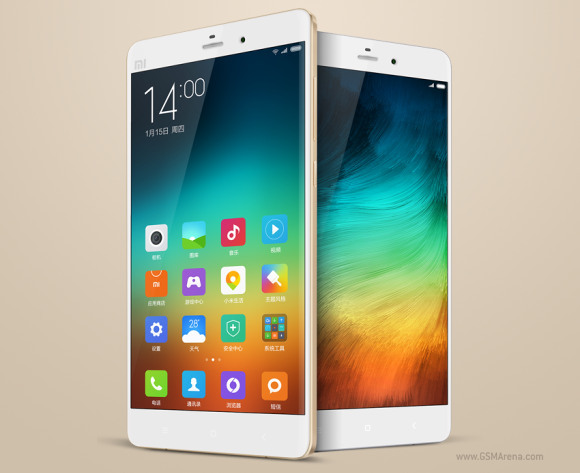 Xiaomi Mi Note Pro runs on Android 5.0 Lollipop skinned with the latest MIUI launcher. The phone will launch in China at CNY 3,300 (€450) - pre-orders open on January 20, while shipping begins on January 27. I'm dying to hold it. Anybody please tell me when it comes to India.